ON Nov. 8, something rather extraordinary happened in America’s heartland. Oklahoma voters, 65 percent of whom supported the Trump-Pence ticket, also passed a pair of criminal-justice-reform ballot initiatives by 14- and 12-point margins. To put these measures in perspective, it’s important to know that Oklahoma has the second-highest incarceration rate in the country and the highest rate for black people and women. 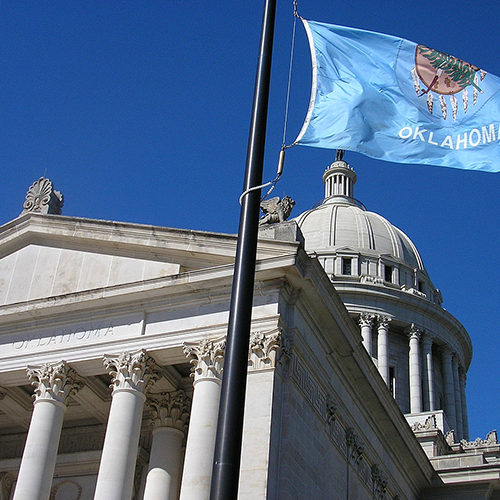 Yet in an unmistakable example of traditionally “tough on crime,” Oklahoma’s passage of State Questions 780 and 781 put it ahead of Washington state in developing pragmatic and fair approaches to drug policy. Under Oklahoma’s SQ 780, user-amount possession of any drug becomes a misdemeanor, regardless of the type of drug and prior arrests. The law redirects the resulting state savings back to the counties for community-based rehabilitative programming, which can include, but need not be limited to, mental-health and substance-abuse services. By contrast, in Washington, the possession of any drug other than marijuana is a felony. This includes even a trace amount of a substance found in a pipe or syringe and most prescription medications possessed without a valid prescription. A first-time offense for drug possession in Washington carries a standard sentence range of zero to six months in jail. Of course, few people struggling with addiction will only get caught once. People who have lost jobs, friends, homes and families as a result of their drug use cycle in and out of Washington’s jails and prisons, stacking up felony convictions and making it increasingly hard to have hope of ever pulling themselves out of the system. According to data collected by the Washington Association of Sheriffs and Police Chiefs, city and county law enforcement made more than 9,000 drug arrests in 2015 — nearly three-quarters were for possession only. In addition to Oklahoma, 10 other states, including Tennessee, West Virginia and our nation’s capital, already make user-amount drug possession a misdemeanor regardless of the number of times a person is arrested. And the Oregon State Sheriffs’ Association and Oregon Association Chiefs of Police on Nov. 5 recommended that “user-amount drug possession convictions be treated as misdemeanors” and that people convicted of these misdemeanors be given careful, individualized assessments for treatment. These laws reflect movement toward the recognition that drug use and abuse are properly public-health concerns, not crimes. They also recognize the collateral consequences of treating drug use as a crime, including barriers to housing and employment and the disparate impact on people of color, who are arrested at higher rates than whites despite consistent use-rates across race and ethnicity. Education, prevention, treatment and wraparound, community-based services would produce better and fairer returns on taxpayer investments than incarceration and criminal records. Other countries have gone further than simply reducing felony penalties to misdemeanors. Portugal fully decriminalized possession of all drugs in 2001. In Portugal, people struggling with substance abuse are provided individually tailored wraparound service plans that include not just drug treatment, but also services that address underlying factors — mental-health services, health care, employment assistance and social supports. Some feared that Portugal would become a magnet for drug tourism and that addiction would increase. These outcomes have not occurred, and rates of needle-transmitted diseases and overdose deaths have fallen. Other states have already embraced the move toward public-health-focused alternatives instead of criminalizing drug use. Washington should join them and start a serious discussion of trying new approaches. Ultimately, addiction policies should be decriminalized and replaced by civil interventions focused on treatment. A pragmatic first step toward reaching this goal would be to treat drug possession as a misdemeanor instead of a felony.